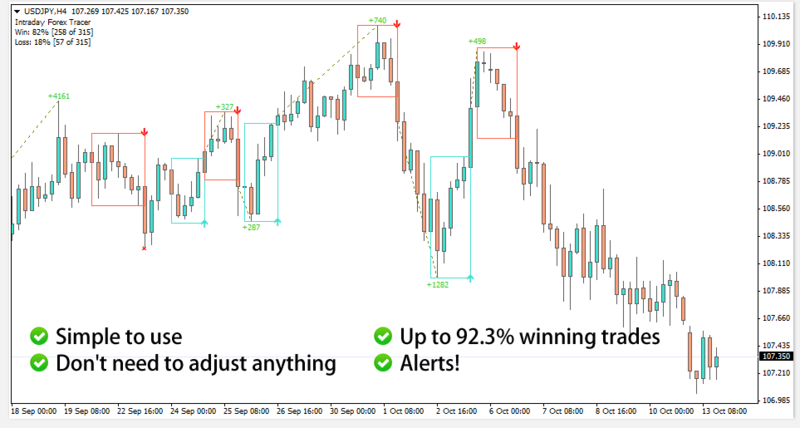 Forex Tracer generates up to 80% accurate signals on average (all pairs) and as much as 1:6 risk reward ratio, which is quite astounding!. Developed by Dave (me) and my friend Mike (who happens to be both a pro trader and mql programmer). The Intraday Tracer is designed for trend reversals and trend continuation trading (which is where the money really is!). The very core of it is tracing the most important movements on the market all the while eliminating fake outs and false signals. 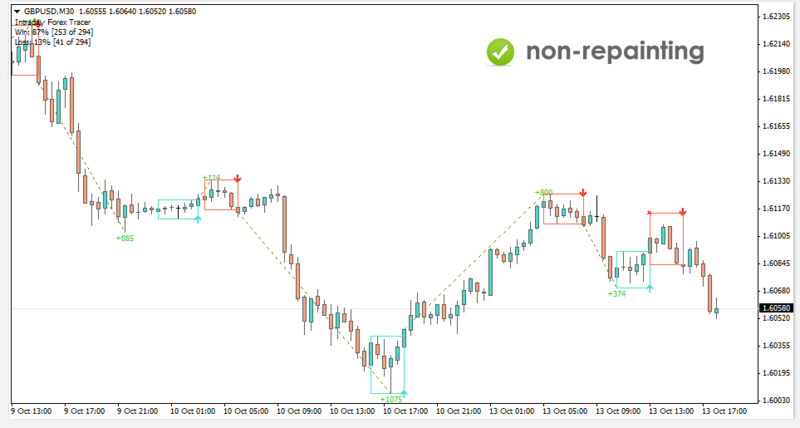 Since this is a great tool in revealing trends and reversals, you can successfully use it to scalp during sideways priceaction too. Forex Tracer isn't a one-trick pony. No need to adjust anything. The average efficiency of indicator and strategy is up to 80.7% on all of the pairs and timeframes with up to 1:6 risk reward ratio; if you pick pairs with lower volatility, winner trades percentages boosts all the way to 92.3% (includes scalp winners). The best thing is that we have managed to neutralize many of the false signals by applying the algorithm developed by both me Dave and Mike, which has made this strategy so profitable that we almost couldn't bear sharing it. The losing trades rate is very low, ranging from 8% for lower volatility pairs up to 19.3% for high volatility pairs. It's important to mention that signals do not repaint. The small percentage of losing trades in a series of trades is displayed on the equity chart below. After six months of testing we decided to share this with you. Designed for traders who need consistency, high % of winners, and up to 1:6 risk reward ratio. 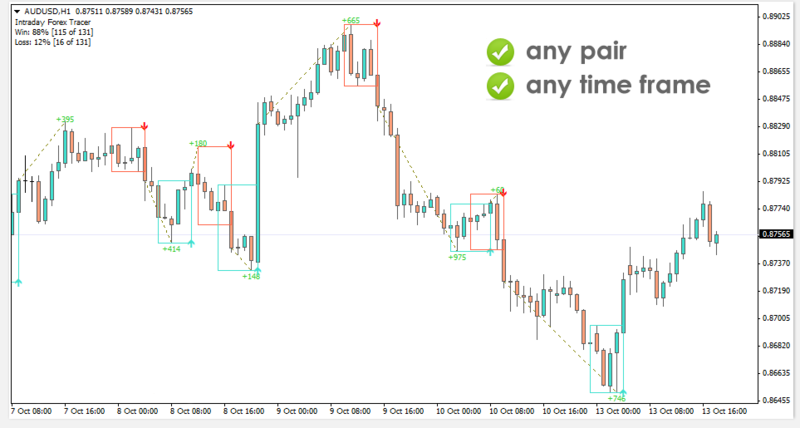 Works on all timeframes, all Currency Pairs. So, if your present trading system is not doing all this and more then you need Forex Tracer to work for you. Change your Odds to Success today; Forex Tracer is available today at a Super Discounted Rate if you take action early. 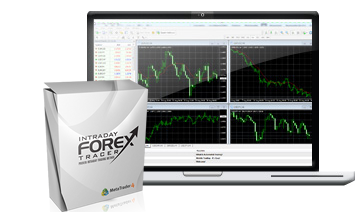 Get your Trading Weapon today and start Profiting from Forex Now. All the best, Dave & Mike. Disclaimer - Commodity Futures Trading Commission Futures, Currency and Options trading has large potential rewards, but also large potential risk. You must be aware of the risks and be willing to accept them in order to invest in the futures and options markets. Don't trade with money you can't afford to lose. This is neither a solicitation nor an offer to Buy/Sell futures or options. No representation is being made that any account will or is likely to achieve profits or losses similar to those discussed on this web site. The past performance of any trading system or methodology is not necessarily indicative of future results. All information on this website or any e-book or software purchased from this website is for educational purposes only and is not intended to provide financial advise. Any statements about profits or income, expressed or implied, does not represent a guarantee. Your actual trading may result in losses as no trading system is guaranteed. 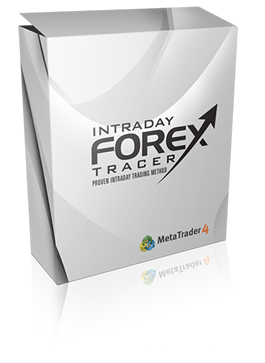 You accept full responsibilities for your actions, trades, profit or loss, and agree to hold Intraday Forex Tracer and any authorized distributors of this information harmless in any and all ways. You agree that any data and information provided here 'as is' solely for informational purposes, and is not intended for trading purposes or advice.